With today’s launch, we’re streamlining some of the most popular admin experiences, integrating admin actions with mobile communications and introducing a new look and feel. The user experience has been redesigned using material design principles―aligning with the new look and feel announced for the Admin console on desktop earlier this year―providing a seamless experience across platforms and devices. 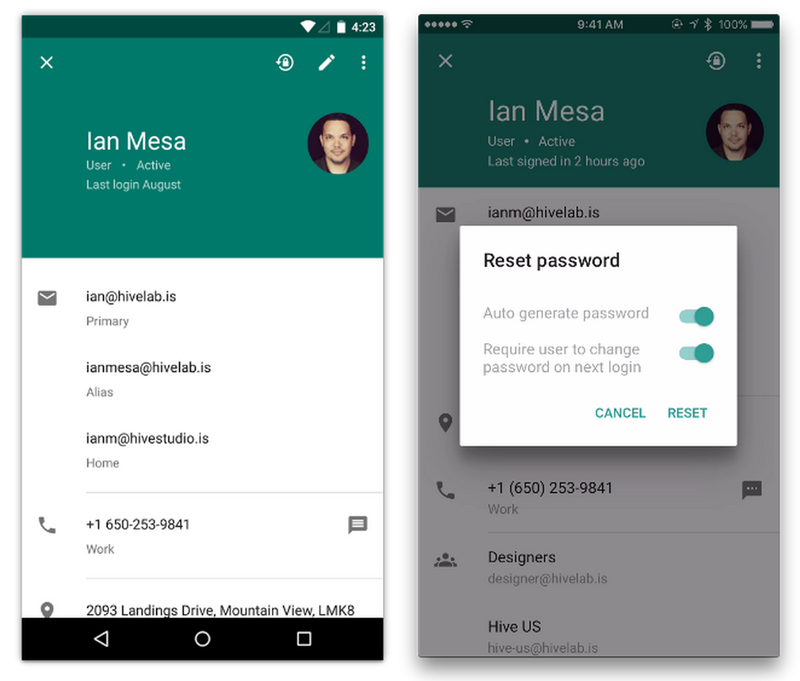 Check out the Help Center for more information on the new Google Admin app for Android and iOS. The Google Admin mobile app allows Apps super admins to easily manage users and groups, contact support, view audit logs and do other common administrative tasks all from their Android and iOS devices.